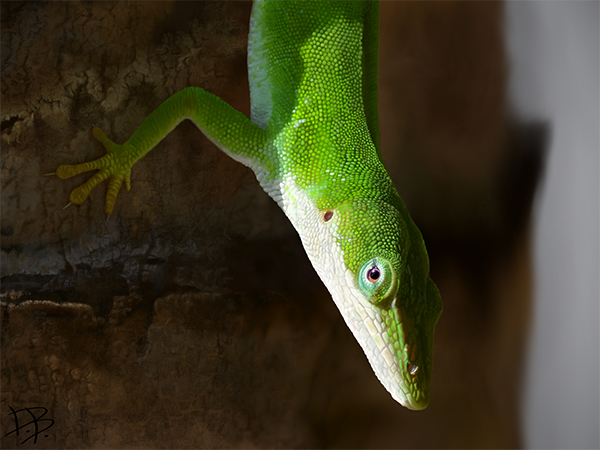 I finally completed my Carolina Anole! 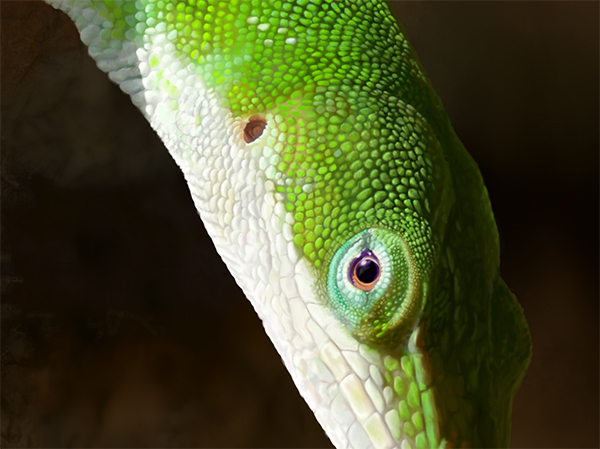 I digitally painted this using the Procreate app on an iPad Air (such a perfect bday/christmas gift from my fiance Tamaryn!). It’s based on a photo I took in Florida. It took about a month to paint, working on it mostly during my lunch break (and a few evenings and airport sittings). There are a million details I could fix and make more realistic, but I’ve hit the point at which I just feel like calling it done.